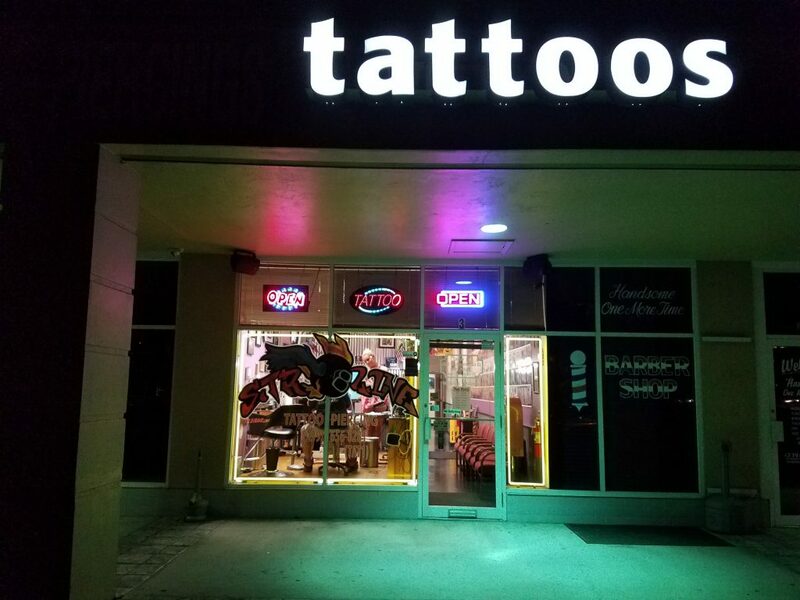 We are a full-custom tattoo and piercing studio located in North Fort Myers and servicing Cape Coral, Fort Myers, Lehigh Acres, and all surrounding areas. We specialize in all tattoo art forms from portraits and watercolors to traditional and everything in between. We also perform a wide selection of body piercings, excluding dermals. Come in and check out our studio and speak to one of our knowledgeable staff to get started on your next tattoo or piercing.